A Lucknow bench also refused to issue any direction to the state government to award Rs 50 lakh compensation to the family of the deceased and grant status of martyr to him. 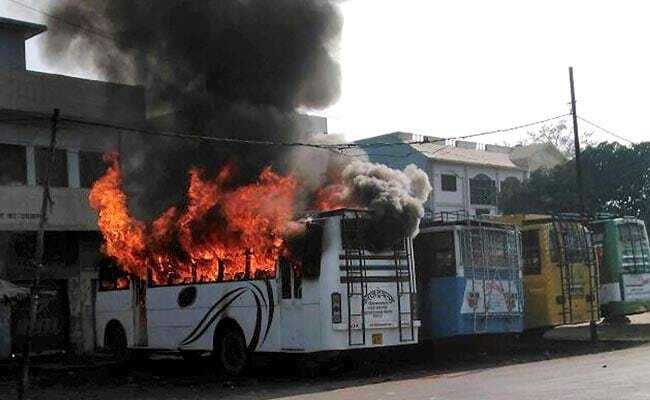 Lucknow: The Allahabad High Court today declined to order an NIA probe into the Kasganj communal clashes. The bench of justices Vikram Nath and Abdul Moin was disposing of a PIL filed by Dileep Kumar Srivastava and others in the matter. Appearing for the petitioners, advocate Hari Shanker Jain questioned the alleged double standards in granting compensation to riot victims of different communities. Opposing the PIL, state lawyer said that the Uttar Pradesh government had already granted compensation to the deceased and that the state police was conducting investigation into the incidents and as such there was no need of probe by the NIA. Chandan Gupta, 22 died of gunshot wounds in clashes following stone-pelting by a mob on a motorcycle rally taken out in the western Uttar Pradesh town to celebrate Republic Day. At least three shops, two buses and a car were torched in the clashes.